When thinking about a new kitchen, you initially have to decide between two main styles; traditional or modern. A traditional kitchen will have detailing on the door fronts (shaker-style or tongue and groove) whereas a modern kitchen tends to have a flat slab door and is very often handle-less. 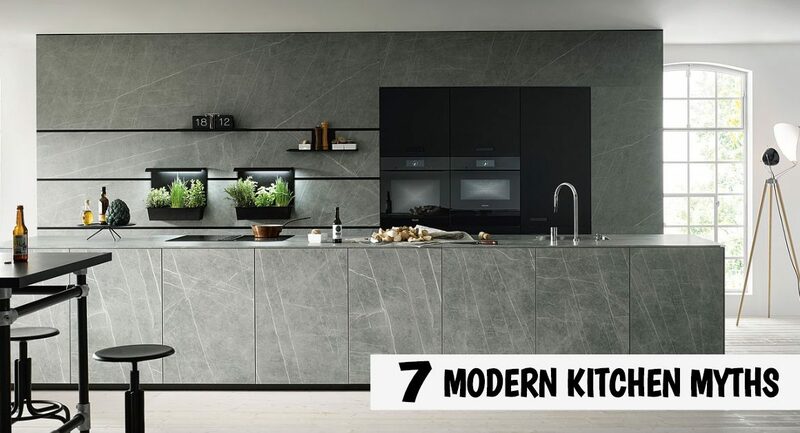 If you’re looking to change your kitchen, want to opt for a contemporary look but are feeling apprehensive about it ending up with a stark, clinical appearance, read this blog as we dispel the 7 most common myths about modern kitchens. Myth 1 – They Have to be White. White is a colour that’s initially associated with contemporary interior design but, even if the softer whites aren’t for you, you can have a modern kitchen using neutral shades or light greys. Modern kitchens are steering towards dark greys and blacks now though, and mixing two different ranges is a particularly contemporary theme. Myth 2 – They Only Suit New Build Houses. Of course, contemporary kitchens suit new build homes and city centre apartments but sleek, modern kitchens look amazing when installed in a traditional property. The juxtaposition of the two styles give a bold style statement and mixing minimalist modern with the detailed traditional features of a period property is unexpected and gives you a wow factor like no other. Myth 3 – They Only Work in Large Spaces. 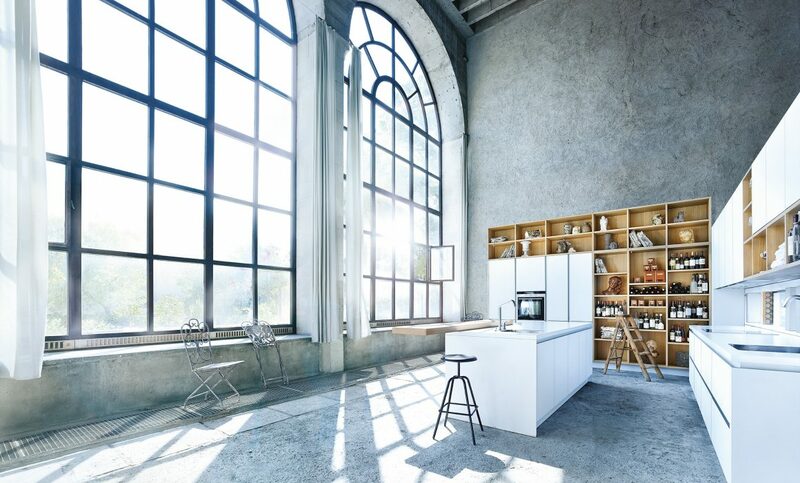 Contemporary kitchens are actually a good choice for any size kitchen. If you have a smaller room, wide doors and drawers can create the illusion of width. The flat, slab doors also help with the illusion of space as any fussy detail would clutter the room and make it feel smaller. If you opt for a high-gloss finish, this can help bounce light around the room to also maximise the feeling of space. Myth 4 – They Have to be High Gloss. Whilst high gloss white kitchens are certainly contemporary, they’re definitely not the only way to achieve a modern look to your room. 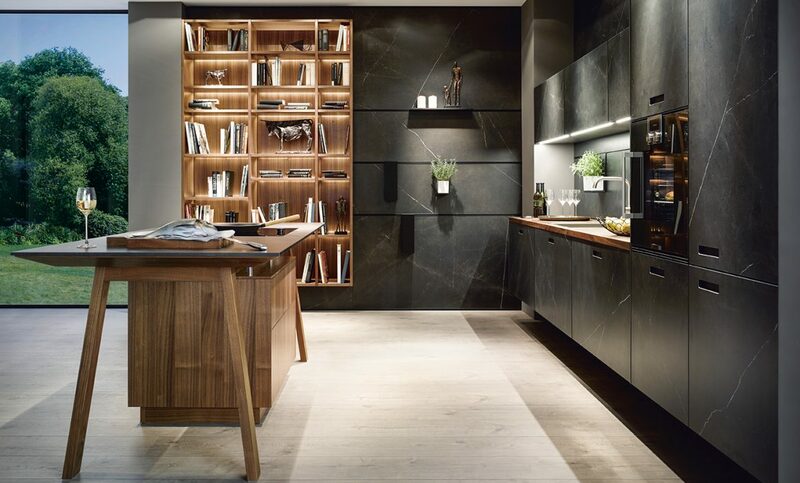 Matt kitchens have gained popularity in recent years, not least because of their fingerprint-friendly finish. Some ranges have ‘anti-fingerprint technology’ applied too to make them very resistant to annoying marks. Other current themes are concrete effect and matt metallics, both giving a high end, fresh look. Myth 5 – They’re not Family Friendly. 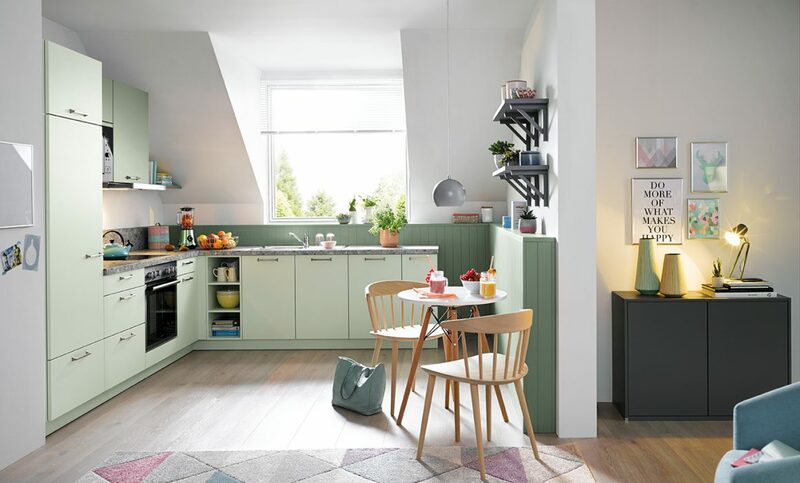 Contemporary kitchens are perhaps traditionally associated with young, working professionals but they’re actually an up to date and practical choice for families and singletons alike. 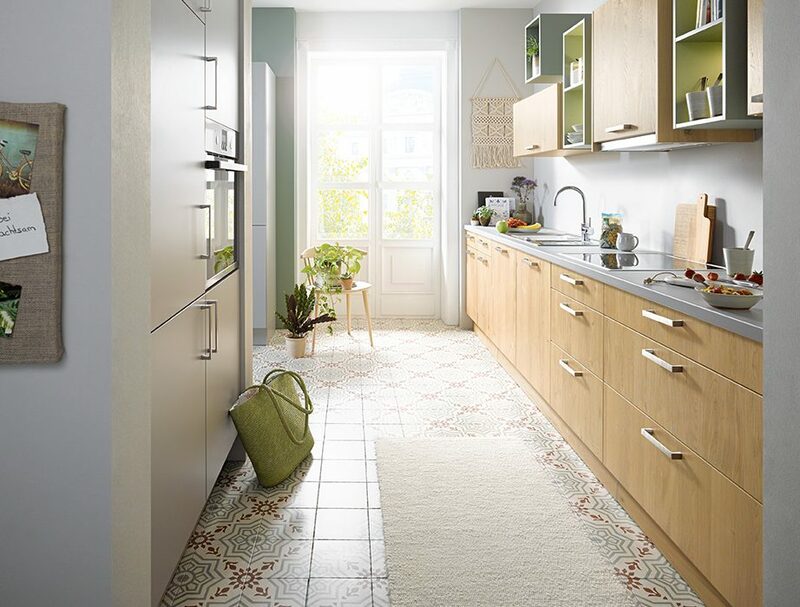 The slab style doors and fuss-free finish means the kitchen is particularly easy to wipe clean in no time. Opting for a matt finish door also means that those little fingerprints won’t be problematic. Myth 6 – It’s No Place for Nature. You’d be forgiven for assuming that contemporary kitchens are all about smooth surfaces in neutral colours. A modern kitchen design can include woodgrain slab doors though and they look even more up to date if manufactured as handle-less. Combining a wood effect range with a coloured door, perhaps on the island unit, enhances the wooden look and gives a unique look to your new room. Whilst it’s true that a handle-less design personifies contemporary, it’s not the only way to achieve a high end, modern appearance. The handles tend to be small and discreet on modern kitchens and, to give a contemporary twist, you could even have your base units with handles and your wall units handle-less. Another option are ‘shell handles’ which are small handle cut outs in the kitchen doors. The colour is matched to the door, disguising the handle for a flawless look. Hopefully this blog has dispelled some of the myths surrounding modern kitchens. They’re a versatile choice and there’s options to suit all lifestyles and homes. 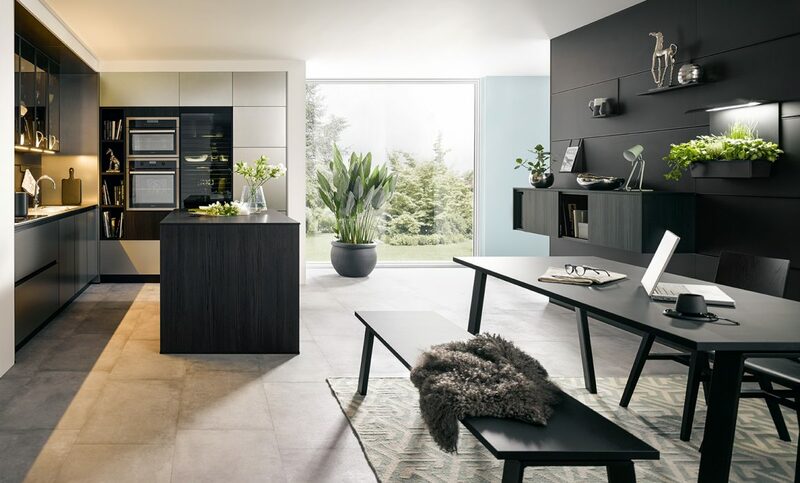 German kitchen design leads the way in clean lines and modern appearances and Schüller is no exception. 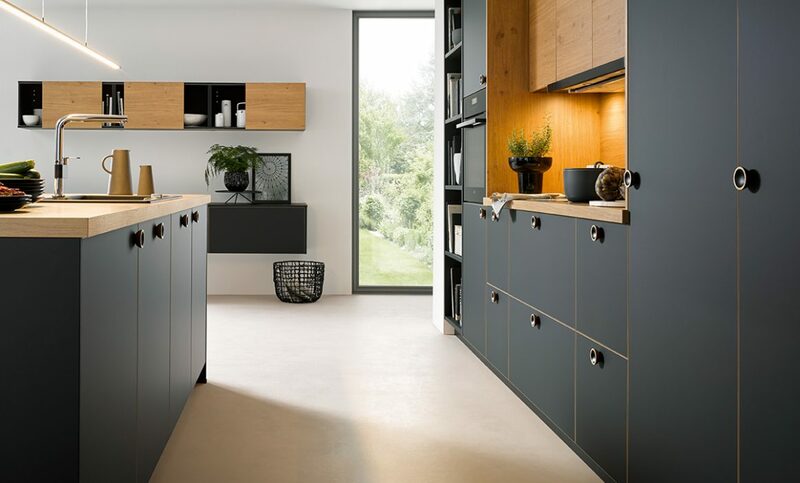 They have a number of kitchen ranges with a matt finish, an array of colours to choose from and ALL of their slab doors can be manufactured as handle-less. 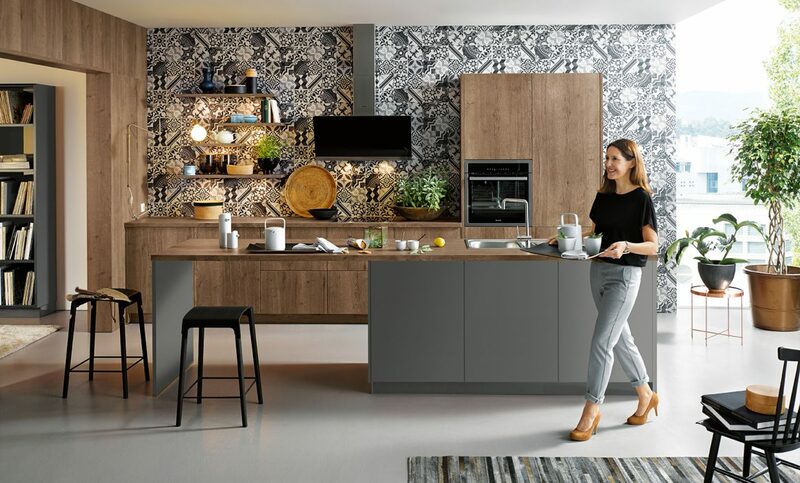 If you’d like to discuss your new kitchen with one of our interior designers, book a FREE Showroom Design Consultation online >HERE< and we’ll design you the perfect modern kitchen to transform your home.